Yesterday, the House passed the FOIA Improvement Act (S.337), sending the comprehensive Freedom of Information Act (FOIA) reform bill to the President’s desk. The bill will update FOIA by codifying the “presumption of openness” established in President Barack Obama’s Open Government Memorandum, subsequent Open Government Directive, and Attorney General Eric Holder’s FOIA memorandum; requiring that information be made available to the public in an electronic format; limiting, to a period of 25 years, the ability of agencies to keep internal deliberations confidential; creating a centralized online portal for FOIA requests; and increasing the effectiveness of the FOIA by strengthening the Office of Government Information Services. AALL and open government groups have advocated for these changes for nearly a decade. Passage of the bill comes just weeks before FOIA’s 50th anniversary on July 4. AALL’s Government Relations Policy clearly expresses our view that a strong FOIA is necessary for a healthy democracy. We commend the many advocates and members of Congress who have worked tirelessly for reform, including House Oversight and Government Reform Committee Chairman Jason Chaffetz (R-Utah) and Ranking Member Elijah Cummings (D-Md.) and Senate Judiciary Committee Chairman Charles Grassley (R-Iowa), Ranking Member Patrick Leahy (D-Vt.), and Senator John Cornyn (R-Tex.). We urge President Obama to sign S. 337 without delay. Last night, the House of Representatives voted 410-0 to pass the FOIA Oversight and Implementation Act (H.R. 1211) nearly a year after the bill was introduced. AALL joined a number of organizations earlier this week in a show of support for the bill, which would put into the law the “presumption of openness” established in President Barack Obama’s Open Government Memorandum, subsequent Open Government Directive, and Attorney General Eric Holder’s FOIA memorandum. 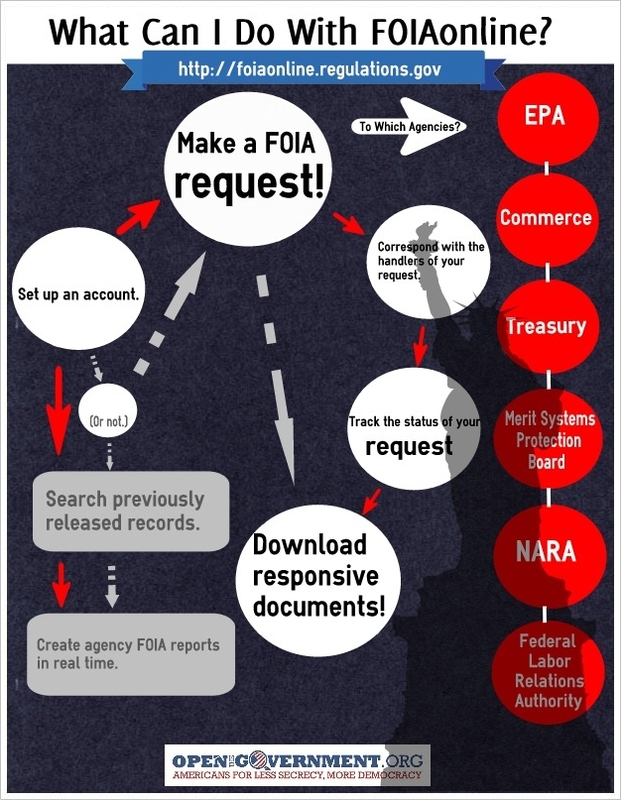 The FOIA Oversight and Implementation Act includes enhancements to the authority of the Office of Government Information Services (OGIS); establishes a Chief FOIA Officers Council to review compliance with the act and to recommend improvements; encourages more proactive disclosure; and advances the creation of a central, online portal for making FOIA requests and checking on the status of those requests. The bill now moves on to the Senate, where a similar FOIA reform bill passed unanimously last Congress. We’re pleased to the report that, after pressure from powerful members of Congress and the open government community, the farm bill moved forward last week without the proposed provisions to cut off public access to information about agricultural and livestock information. On January 29, the House approved by a vote of 251 to 166 the Agricultural Act of 2014 (H. Rept. 113-333), the Senate-House conference report to replace the Food, Conservation and Energy Act of 2008, which expired on October 1, 2013. Language originally included in the House-passed bill would have prohibited disclosure of information about any owner, operator, or employee of an agricultural or livestock operation. The public— particularly neighbors of such operations— requires access to information about the operations to ensure their health and safety. This language would have undermined the Freedom of Information Act’s (FOIA) goal of transparency and extended personal privacy protections to corporate farms. On November 6, 2013, AALL joined more than 40 organizations in urging members of the conference committee on the Farm Bill not to include the harmful language. AALL has joined several organizations on letters of thanks to Senator Patrick Leahy and Congressmen Elijah Cummings and Henry Waxman for their support and leadership in removing the provisions in the final version. We expect the conference report will be debated and voted upon in the Senate shortly. You are currently browsing the archives for the Freedom of Information category.